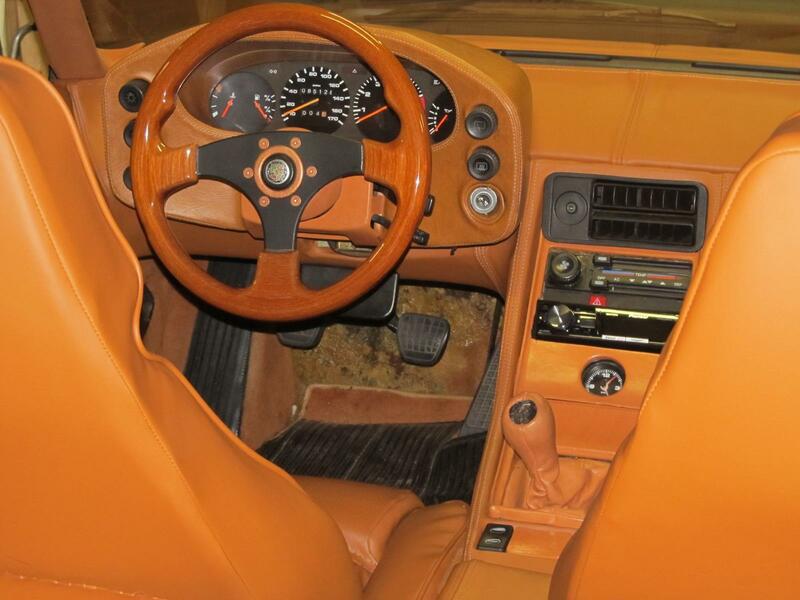 I'm looking for a real wood steering wheel for my 928, does anyone have any information on who has the best looking one and what adapter is required. I too had a wild idea about a wood wheel for my 928, so I designed one and even started the development for it. My idera was to have a 4 spoke wheel but with the spokes not radial but rather sort of a take-off from the 928 4 spoke non airbag wheels. Mine would have had two spokes starting along the top of the hub area and then curving downward some as they radiated out to the rim. The same with the bottom two spokes, starting along the bottom of the hub but having a little more curvature. I was going to put some lightening holes in the spokes. I was going to put about an inch of dish into the wheel, and even obtained two heavy pieces of aluminum plate to form into dies to do the forming with. I had the aluminium part of the wheel designed on paper, but I guess the thing that helped to put a halt on the project was the lack of a computer drawing of the wheel to give to the waterjet guy to cut the metal parts out with. I tried getting my son to draw it for me but he never seemed to be able to get to it. I then tried another computer designer, and think I left my drawing with her, but also no joy. I even designed the layout of walnut pieces for the rim and then attempted to cut some out to glue together to then machine in my mill in the rotary table, but I had some difficulty getting the angle of the joints correct, so that didn't get completed. In fact, in my current shop clean out, I am right to the point of uncovering the remains of that project so I can maybe box it up and put it somewhere else. I guess I somehow missed the 2015 thread, but the negative in that one might have put me off some also. However, I do still kind of have some thoughts about maybe sometime finishing one of my wood wheels to see what it might look like in a 928. I like the wooden Momo wheels from the '80s that pop up on ebay from time to time. Real wood, but not too retro looking for the 928. I believe they all use the standard Momo-to-928 adapter. I was awfully tempted to buy one until I found a nice stock wheel. The only one I think is appropriate for a 928 is one of the rootwood airbag wheels, there's one on German Ebay right now. Price is good but I don't like the way they're hiding the top of the wheel- there's one big visible scratch in the wood, probably more damage out of frame (?). That said, I bet Madera concepts could make it perfect again. That one still needs the little handles sticking out all around it. Depends what your looking for, 4 spoke or 3 spoke, all wood, or wood and metal, personally I think and all wood type wheel would just look totally wrong in a 928, whereas a partial wood/metal combo might look better, probably with matt black spokes, or a dull alloy finish.